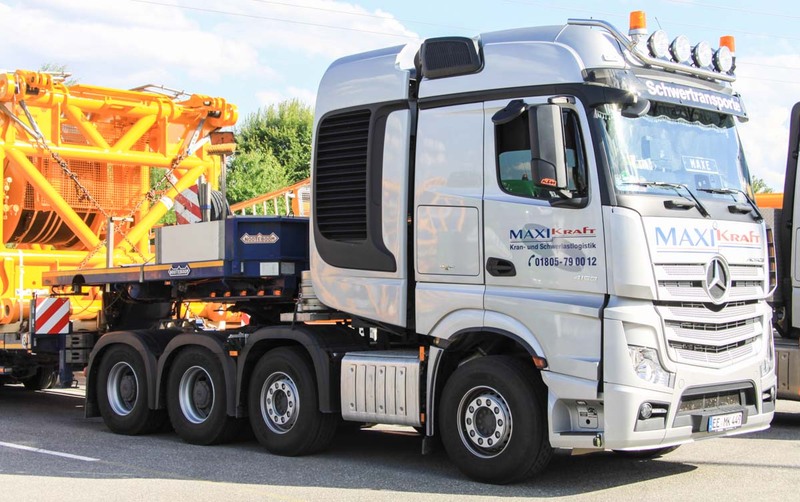 Maxikraft from Herzberg (DE) is owning a big fleet of cranes and trucks. 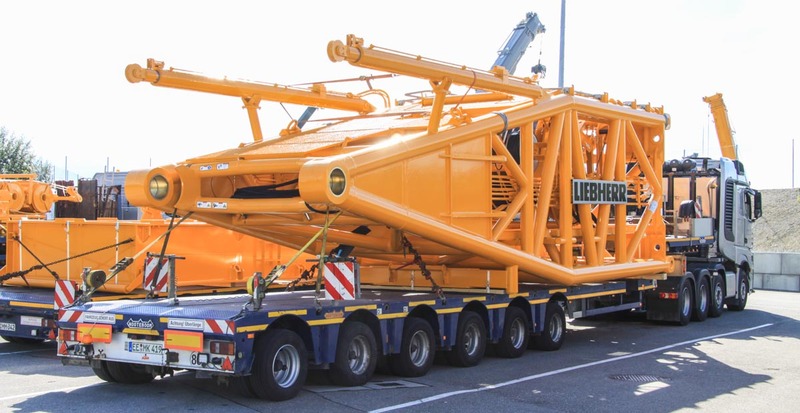 A small fleet of truck was used to transport a Liebherr LR 11350 from the manufactering plant to the harbour in Bremerhafen (DE). 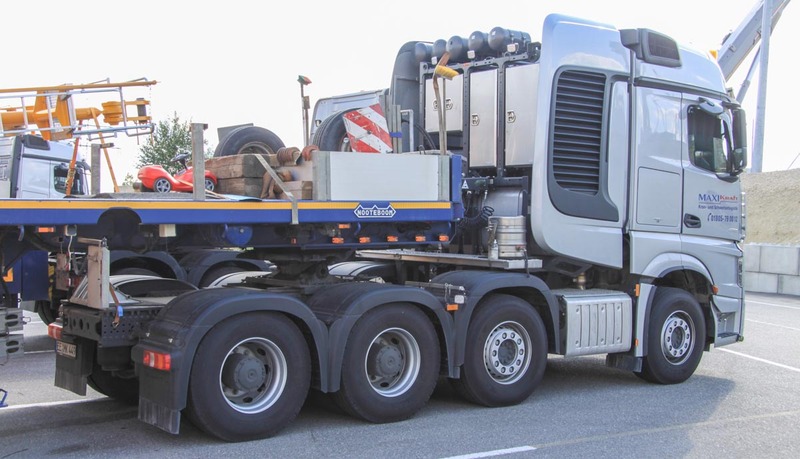 This sharp Mercedes-Benz Actros 4158 with semi low loader was loaded with the boom foot. 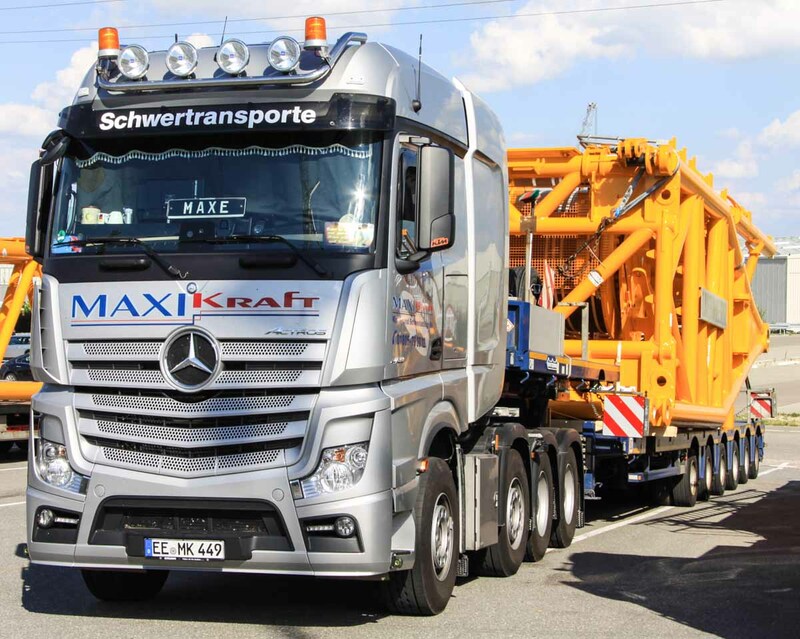 The truck is this sharp Mercedes-Benz Actros 4158 with 8x4 drive line, both rear axles are powered. Behind the front axle is the large muffler installed. The truck is powered by a 15.6 liter 6 cylinder engine Mercedes-Benz OM 473 LA, here with 580 hp. Behind the cabin are the diesel tank, storage compartments and compressed-air tanks installed. 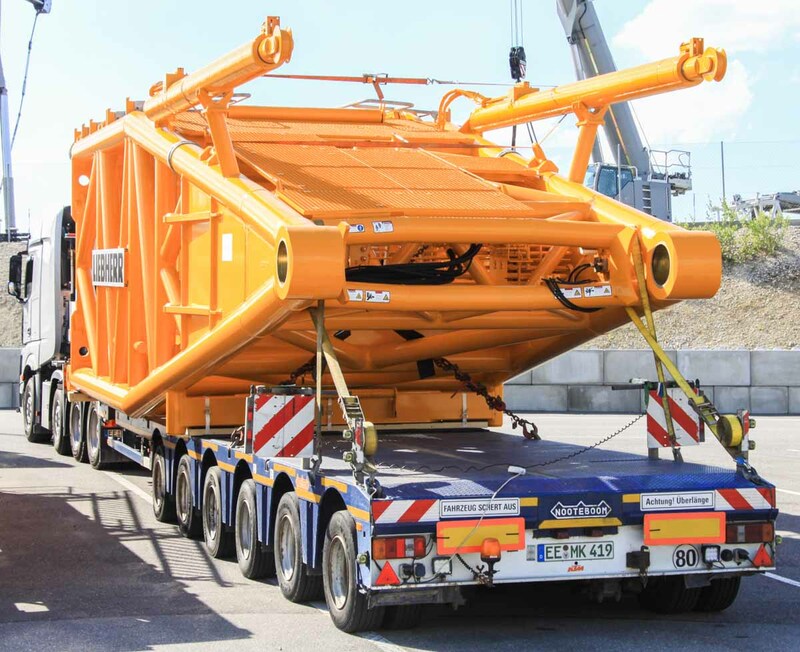 Attached is a 6 axle Nooteboom semi low loader. The LR 11350 boom foot weights 56 tonnes.